Sometimes, some photos are such that they enchant you and make you wonder what story does they convey. 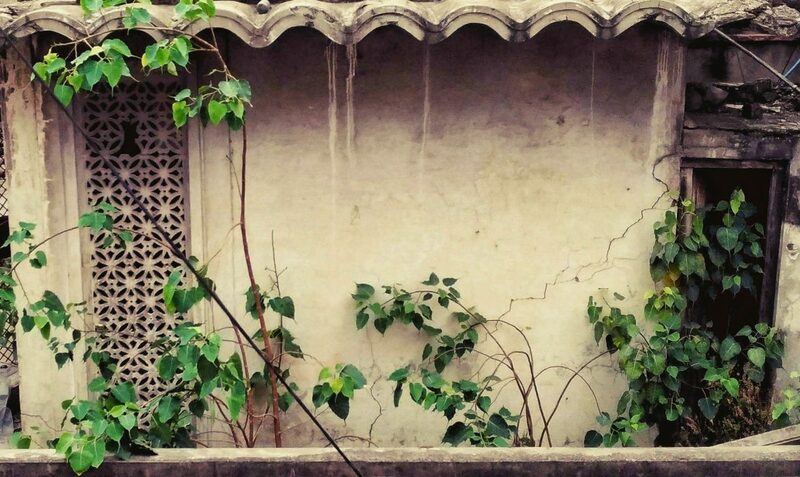 I felt the same when I saw this image, shot by Vaishali, and some characters sketched up in my mind: a kid, her mom, and this old house. So I penned down this short story that played in my mind on seeing this image. Walls were cracked, paint had faded away, doors were half-eaten by termites, windows were broken. Still, he stood there, watching the house. Somehow, admiring it. She looked at the house, with empathy, and then took her son back to their home. Next evening, she saw her son loathed with mud and scratches, and mark of leaves all over his arms and clothes. Beamed his little son, and so did she. But, the old house cried again, for the love it received from that innocent life.